Heavy rain during the day and late afternoon forced the abandonment of Sussex Sharks’ Vitality Blast south group game against Kent Spitfires at Hove, with both sides taking one No Result point. With the outfield saturated, there was no option but to announce that the ground was unfit for play and that there was no chance of conditions improving, after the scheduled 7pm start, even for a five-over match to be contested later in the evening. Both counties have now had four No Result matches in the group stage and, although they stay in contention for quarter-final qualification it is Kent who will be the happier of the two with this wash-out point. That takes the Spitfires to 14 points from 11 games, with home fixtures to come against Middlesex on Sunday, at Beckenham, and Somerset next Thursday at Canterbury followed by a final away match against Essex Eagles at Chelmsford on August 17. 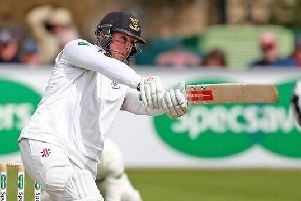 Sussex, however, who now have 12 points from 11 matches, face having to win at least two of their last three fixtures – and possibly all three – to guarantee a last eight knock-out place. The Sharks play Glamorgan at Hove next Tuesday, before travelling to Bristol to take on Gloucestershire next Thursday and then a final group game at home to Middlesex at Hove the following evening.